Relax in the comfort of Brewery Gulch’s most spacious accommodation. Coastal hues of warm grays and browns wrap your 560 square foot second floor suite in a zen-like cocoon. 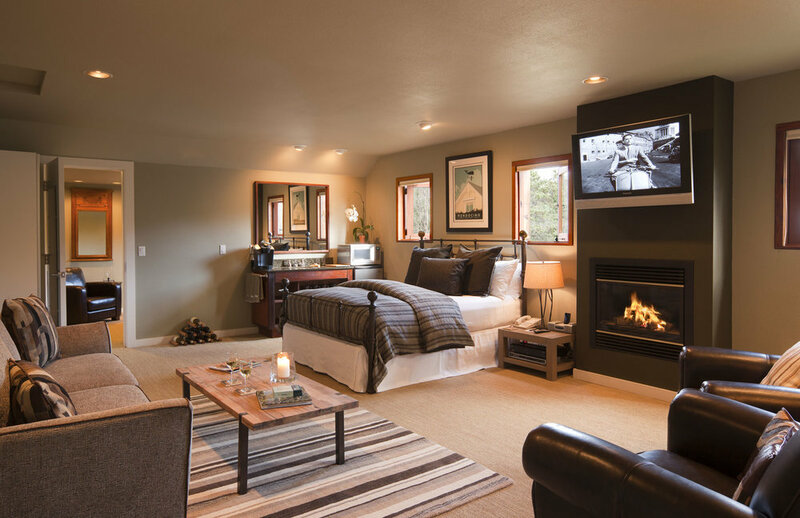 Relax by the fire with a good book in one of your leather club chairs and your favorite music on the en suite stereo, or curl up on the couch and watch a DVD from the inn's large collection on your flat panel television. 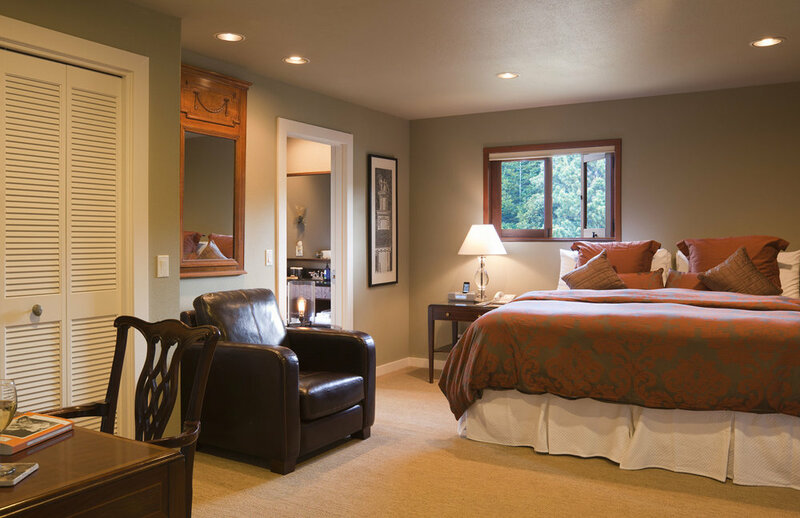 This suite is perfect for families, friends’ getaways or small, private business meetings (please note that to reach the bathroom in this unit from the main room, you must first pass through the bedroom). The king bed in the bedroom can be reconfigured into two twins, just notify us at the time of booking.